Walk the brands through a proven approach to mobile marketing strategy, campaign implementation, execution, & core fundamentals. An overview of the importance of a Mobile Marketing Strategy, brand Stages, and Core Fundamental tactics that brands need to implement before launching a mobile marketing campaign with case studies. 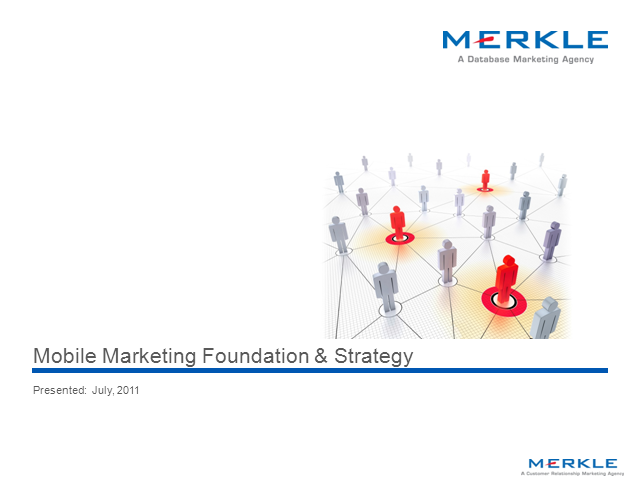 Bruce J. Hershey, Director of Mobile Marketing, Merkle, Inc. Presented by: Bruce J. Hershey, Director of Mobile Marketing, Merkle, Inc.